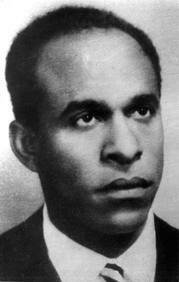 Frantz Fanon was born in 1925 on the Caribbean island of Martinique, then a French colony. He served in the French army during WW2, and after attended the University of Lyon in France, where he studied medicine and psychiatry. From 1953-56 he served as the head of psychiatry at Blida-Joinville Hospital in Algeria, which was then part of France. He joined the Algerian liberation movement in 1954 and in 1956 became an editor of its newspaper, El Moudjahid, published in Tunis. Shortly after his death, in 1961, his book The Wretched of the Earth was released. It became an important text for anti-colonial liberation movements. Most of the book (chapters 1-4) examines such movements, the role of violence, intellectuals, collaborators, state repression, and the general course of liberation struggles. Chapter 5, “Colonial War and Mental Disorders,” is an examination of the psychological effects of torture arising from his Algerian experience, including both torturers as well as those who were tortured. Fanon’s writings can be difficult to read in parts. There is also a lengthy introduction and forward. Nevertheless, there is a lot of knowledge that can be gained from this text if you can find time and energy to study it. This PDF is a scanned version that is 161 8×11 pages in total (the book itself is 251 pages). The file is 15.4MB. 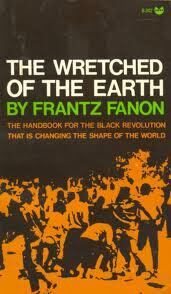 Posted on January 25, 2013, in Documents and tagged Algerian revolution, anti-colonial resistance, Frantz Fanon, national liberation, Wretched of the Earth, Wretched of the Earth PDF. Bookmark the permalink. 9 Comments. I also enjoyed Fanon’s Black Skin, White Masks. It was refreshing to hear him talk about his experience in France, where no matter how highly educated and ‘civilized’ he became or acted, he was always seen as an inferior because of his African roots. Powerful stuff. unable to download……can’t say why…….gooosh!!! !